The Dharmachakra Translation Center (DTC) was founded in 2011 with the mission of establishing the translation of Buddhist texts as a core activity at Rangjung Yeshe Gomde California. Inspired by the great importance Chokyi Nyima Rinpoche has placed on translation, the Center is dedicated to translating the words of the Buddha and Buddhist masters, training future translators, and encouraging dialogue between the traditional and academic scholars of Buddhist studies. The Play in Full, a life story of the Buddha (a contribution to the 84000 project). The Mahāmāyā Tantra (a contribution to the 84000 project). 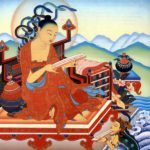 Rich in Qualities, a commentary on the Mahāmāyā Tantra by Ratnākaraśānti. The Tantra of the Blue-clad Vajrapāni (a contribution to the 84000 project). A Concise Daily Liturgy for Offering the Body, a chöd practice from the Chokling Tersar Tradition (forthcoming). 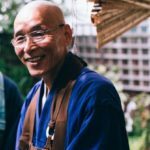 Beyond simply benefiting translators, our goal is to create a translation community woven into the fabric of the Rangjung Yeshe Gomde community. The Center’s translators take an active role in all aspects of Gomde’s activities and are available and accessible to the entire community. 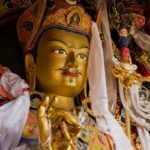 As part of our commitment to advancing the study of translation, the DTC runs the Dharmachakra School of Translation, which offers intensive programs and training in the textual and oral translation of Tibetan. For more information please visit the program page. The DTC offers opportunities for translators to live at Gomde California, work on their own translation projects, collaborate with resident and visiting translators, and to otherwise benefit from the conducive and inspiring environment Gomde California provides. For more information and to apply for a residency, please contact us at gomdedtc@gmail.com. 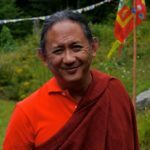 The union of the traditional and academic study of Buddhism is the cornerstone of Chökyi Nyima Rinpoche’s engagement with the West. With the aspiration to sustain this vision the Dharmachakra Translation Center strives to cultivate dialogue between traditional and Western scholars of Buddhism by hosting seminars and study retreats and otherwise making the facilities of the Center open to scholars of all backgrounds working in Buddhist Studies. 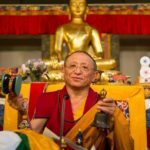 The Dharmachakra Translation Center was founded in 2011 by two long-time students of Chokyi Nyima Rinpoche, Catherine Dalton and Ryan Damron. Both have been members of the Dharmachakra Translation Committee since its inception and have contributed to a number of its publications. 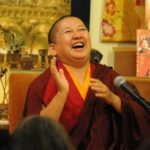 Catherine has spent many years at the Rangjung Yeshe Institute in Kathmandu, where she developed their Translator Training Program, and presently serves as an oral translator for Chokyi Nyima Rinpoche and other lineage teachers. She is currently a PhD student in Buddhist Studies at UC Berkeley. 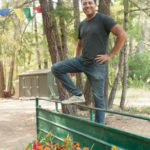 Ryan is the current Director of the Dharmachakra Translation Center at Gomde California, and has taught advanced courses in textual translation and Buddhist history at Gomde for the last six years. He has also taught Sanskrit and Tibetan at Kathmandu University’s Centre for Buddhist Studies at the Rangjung Yeshe Institute for many years. He is presently working on completing his PhD in Sanskrit and South Asian Studies at UC Berkeley. Ryan recently joined the 84000 Project as an Associate Editor.